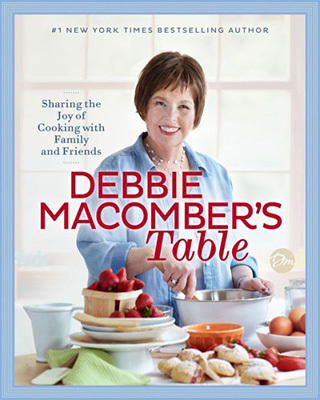 Debbie’s latest cookbook “Debbie Macomber’s Table” invites readers into her own kitchen, allowing them to share some of her favorite recipes. This cookbook features 100 recipes that Debbie has cooked for her own family, including some inspired by scenes from her beloved novels such as the Rose Harbor series. Debbie says, “In our family, food is much more than nourishment. It’s love. It’s appreciation. It’s heritage. It’s celebration. It’s health and happiness, too.” Anyone familiar with Debbie’s books is also familiar with the role that cooking and food plays in building relationships. She got her love of cooking from her mother. They spent countless hours together making recipes, laughing, dancing, crying, sharing, and making memories. Even though Debbie’s mother has passed, the tradition of cooking has not. “Since mom’s passing, a generational shift has taken place. 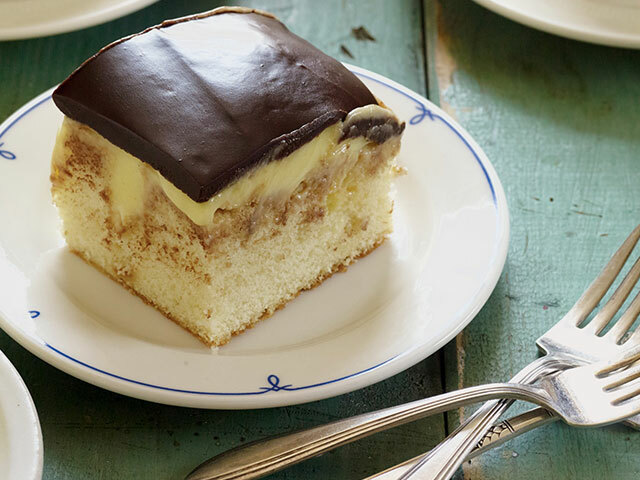 It’s as lively and as fun as it has always been in the kitchen, only now the recipe sharing and the dancing continues with my two daughters’ and with my two daughters-in-law.” Weekly, the family all share meals, each making something special. In all of Debbie’s books, cookbooks included, you will find a theme of love and togetherness. Debbie wants to share those meals with our viewers as well. On the show, we will focus on the “Perfect Potluck Dinner” featured on page 183 in her cookbook. Debbie’s stories of love, forgiveness, loss and hope have captivated both readers and viewers. She has become the leading voice in women’s fiction. “I write in the secular market,” says Debbie. “You can’t separate my faith from my writing.” Her style is completely opposite of what is popular. “My values come through in my writing,” she says. She struggled in school and didn’t learn to read until she was 10 years old. Debbie was dyslexic and didn’t find out until her children were diagnosed with the same learning disability. “I assumed I was dumb,” says Debbie. She had always dreamed of being published and started writing, but she was fearful someone would laugh at her or tell her she would never be published. When her cousin died, Debbie decided to be more proactive about her dream. She rented a typewriter at the age of 30 and started her first book. Five years later, she sold her first book, Heartsong, to Silhouette Books. Debbie was featured in Newsweek, and the demand for her books quickly exceeded her wildest dreams. With over 200 million books in print, Debbie is a regular on the New York Times bestseller lists. Nine of her novels have been made into made for television movies or series like Cedar Cove starring Andie MacDowell, featured on the Hallmark Channel; three of her books have been turned into plays.